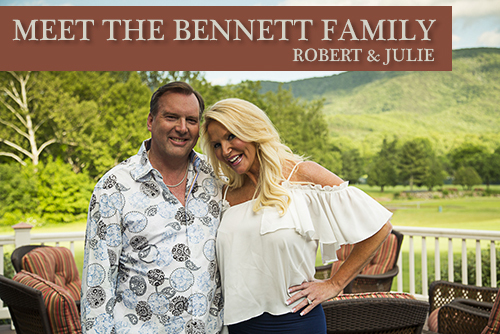 This summer, we asked Greenbrier Sporting Club Members Robert & Julie Bennett to share how they found their ideal spot to escape and relax along the lush fairways at The Greenbrier, and how they cherish the new friendships they’ve made at The Greenbrier Sporting Club. We would like to now share with you. Click below to view their interview! This summer, Greenbrier Sporting Club Members Jerry and Karen West talked with us a bit about their love for their favorite vacation spot, The Greenbrier, and how they decided to make a home at The Greenbrier Sporting Club. Now, we would love to share with you. 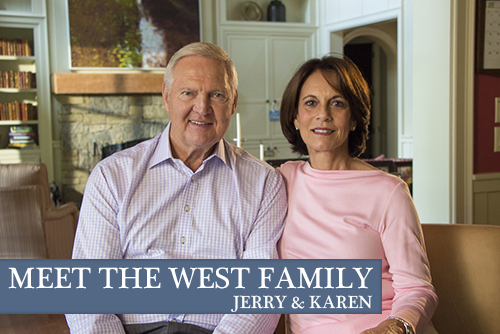 Click below to learn more about The West Family! Who’s Who in Luxury Real Estate’s Annual Fall Conference took place from Sunday, October 5th to Wednesday, October 8th in Boston, Massachusetts at The Fairmont Copley Plaza. 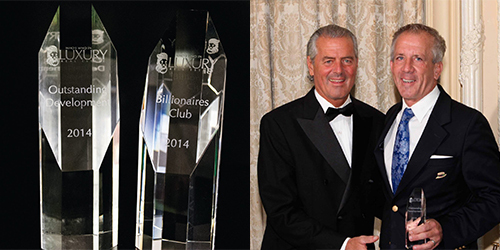 The Greenbrier Sporting Club was honored with two prestigious awards including the Outstanding Development award, which is given to the Luxury Real Estate member representing an exceptional development, and John Klemish, Adviser to the Chairman and Broker-in-Charge at The Greenbrier Sporting Club, was presented with the Billionaires Club award, which is given to those individuals who have sold at least $1 billion in real estate throughout their successful career. The Fall Conference is hosted by Luxury Real Estate Chairman/Publisher, John Brian Losh, and is one of four annual invitation-only events that bring together the most prominent luxury brokers from across the globe to discuss current real estate trends. Keynote speakers included Kipp Bodnar of HubSpot, who discussed inbound marketing principles and tactics, and Kermit Baker from the Joint Center for Housing Studies at Harvard University, who shared insight on current housing trends. Members of the Who’s Who in Luxury Real Estate network participated in expert panel discussions on a diverse range of topics including working with international buyers, the latest technologies to win and market a listing and cultivating your network. More targeted discussions were led by Luxury Real Estate members and partners, including John Klemish of The Greenbrier Sporting Club who shared insight on marketing a lifestyle for resort destinations. Other presentations included negotiating from a number of different perspectives, technology tips to sell more real estate, current findings on Chinese real estate investment, how to find and activate the top 1%ers and tips on growing your business to the next level while keeping a healthy work/life balance.